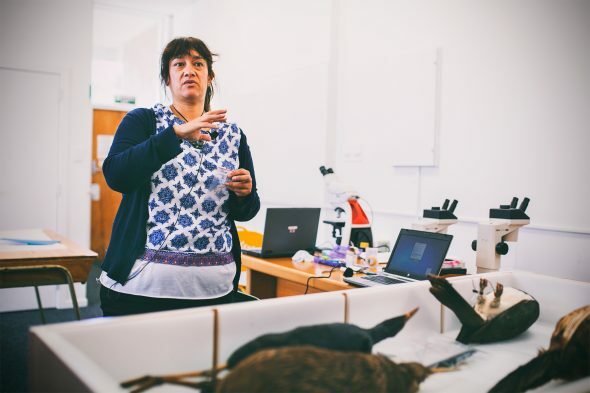 In a collaboration between National Services Te Paerangi and Whanganui Regional Museum, Te Papa’s bicultural researcher Hokimate Harwood brought her extensive feather identification skills to a community of 30 weavers and bird enthusiasts earlier this year. 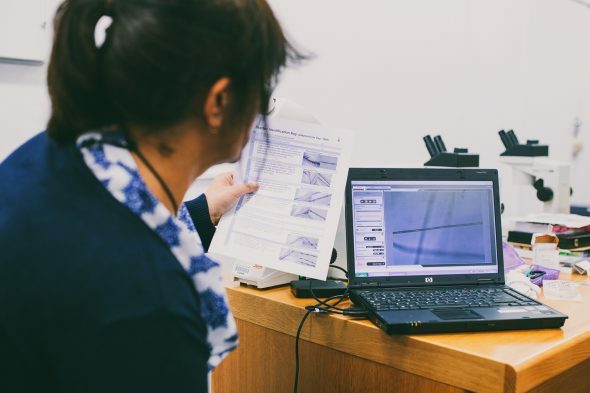 Hokimate’s feather identification research looks to decode materials and messages within kākahu | feather cloaks. 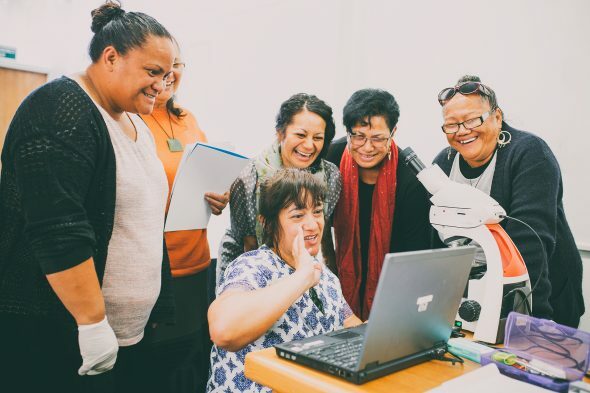 This means bringing together a number of fields; ecology, microscopy, history and taonga Māori to name a few. The goal is to return context to unidentified taonga, so that they can one day be returned to their connections. 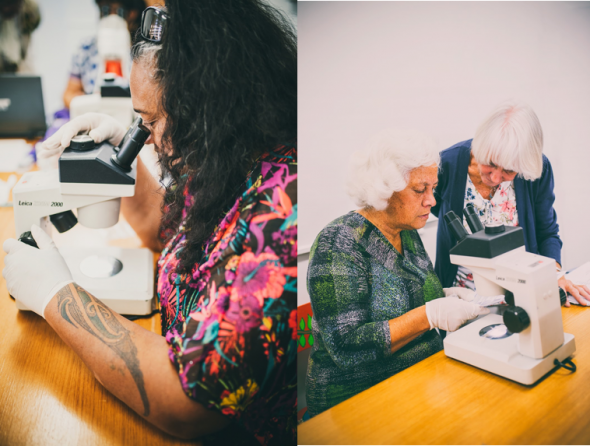 Our workshop offered a glimpse into this fascinating intersection of science and taonga Māori, working with four precious kākahu in Whanganui Regional Museum’s care. Our first technique was to try matching the body of woven feathers in a kākahu to their original avian owners, using specimens. 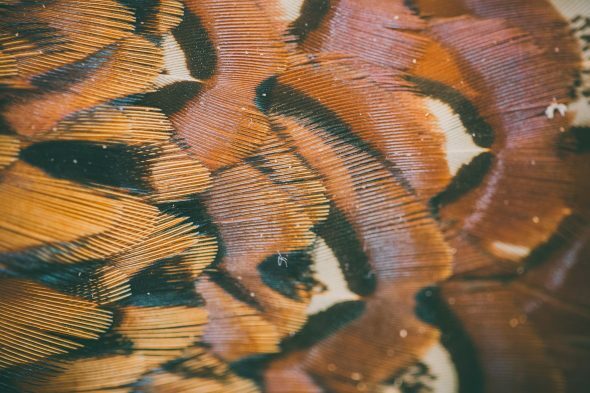 Access to a large collection of native and non-native bird specimens is essential – even with the abundance of bird images online, there’s nothing like the real thing, especially when underwing coverts or smaller leg feathers provide the best clues. In Te Papa’s kākahu collection alone, there are at least 27 different native bird species represented, alongside at least 8 species introduced to Aotearoa since 1800 such as the yellowhammer and pheasant. It wasn’t long before we began to run into identification issues. Plain white feathers: toroa, kereru – or an albino tui? Brown: chicken or kiwi? Orange: kea or kākā underwing? Fortunately there’s more than one way to look at a feather! For stage two, we examined feather down under a microscope, where minute structures give away the taxonomic order of each bird. While you can’t make every determination through this method, it helps to separate your procellariiformes (e.g. albatrosses and petrels) from your galliformes (e.g. chickens and pheasants). To encourage some healthy competition, we were split into four groups and tasked with identifying as many species used in our table’s kākahu as we could, plus any patterns, single feathers, odd or outstanding details before presenting to the group. Placement of feathers is a way of retaining or containing information and memories. Every kind of pattern displayed something in kind from the weaver that communicated perhaps where they were from, or what they were thinking at the time. The types of birds used also provide messages about the mana and the status of the intended wearer(s). 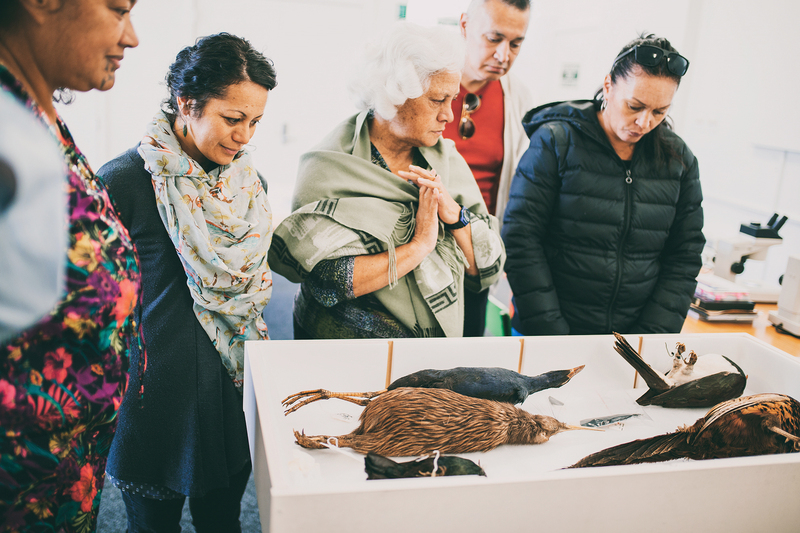 By identifying feathers, patterns and provenance for these taonga, we also gain insight into how we were using birds; their historic distribution patterns and abundance around Aotearoa, and information about how valuable and culturally significant they were at the time. 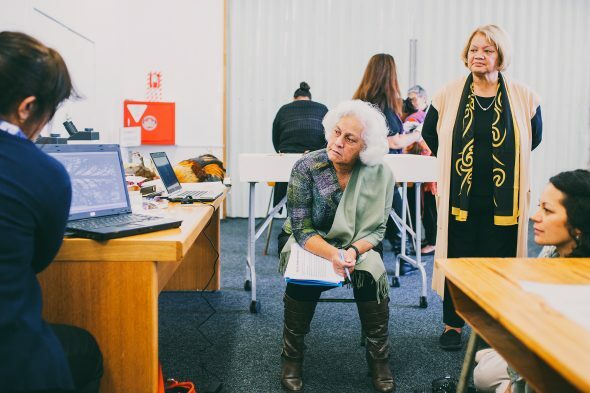 Many thanks to Awhina Twomey and Mike Dickison at Whanganui Regional Museum, National Services Te Paerangi and the Iwi kaumatua who supported this workshop. gosh that would have been a fascinating workshop.. this is what I miss not belonging a museum or historical society anymore.. as can remember being at a workshop at Aratoi years ago… I now work on my own doing local cemeteries researches..